← When you gotta go! 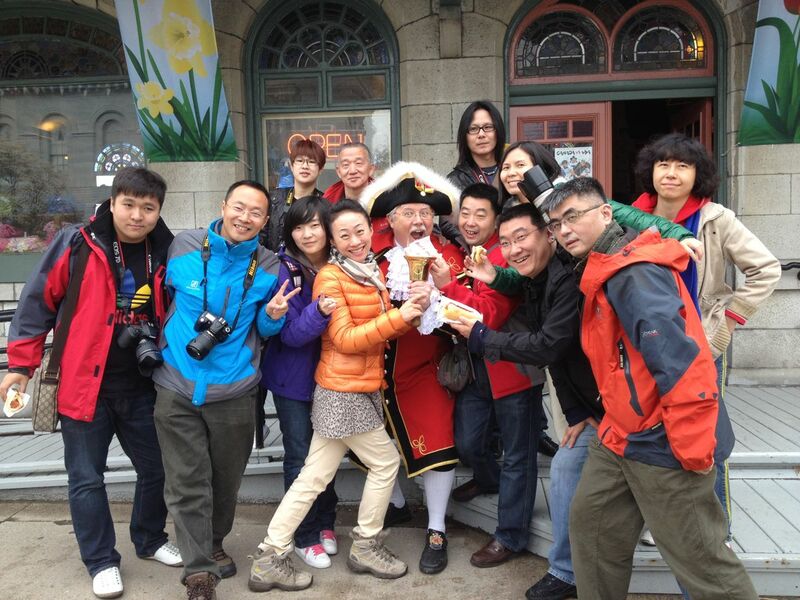 Over the years I have organized and guided a ton of media Familiarization (Fam) Tours. From this I have learned some valuable lessons and tips that can increase your chances of getting rock solid coverage for your destination. Target the specific travel media you want to tell the story, i.e. Outdoor Adventure Writer, Food Blogger, Motorcycle Magazine, Auto Newspaper, etc. This allows you to focus on the one individual and provide them with the best possible experience to ensure they get the story. Large group Fams are often difficult to coordinate and execute and results can vary. Develop a pitch specific to the person’s interest. Do your homework on the individual. Find out what makes them tick. Review their past assignments to determine what angles they thrive on and structure the pitch to peak their interest. Provide an angle that might not have been covered before so they can be the first, if possible. Give your writer teasers in the pitch, i.e. the best places for photo opps related to the story, special access that will be granted to them, behind the scenes access, and opportunity to meet the real people behind the story. Make it easy for them. Once they accept to cover the story, create a very simple itinerary. Look after all the arrangements and costs so your writer only has to focus on the story. Some media want a guide; some don’t, so give them the option. Don’t over program them. It’s not about quantity of sites and locations you visit, it’s about quality. They need to have an experience. Experience creates emotion and emotion creates a great story. Build in free time so the media can wander the streets on their own. Let them eat ice cream, tour the shops and simply be a tourist. Be flexible even with a structured itinerary. Build in flexibility if the person wants to stay longer or shorter at a location…ensure all suppliers on the tour are aware that you may be late or early (this happens a lot). Brief all of your stops ahead of time and inform them about the angle or content you need delivered. Give them a time limit. People are very proud about what they do; it’s your job to keep them on track. Do not fall into the trap of booking accommodators just because they are offering a complimentary room. Make sure you book your writer into the best place that suits the story and their needs. Paying for accommodation and meals (usually at a reduced rate) ensures they are the best possible. It takes the pressure off the media to cover that specific location simply because it was complimentary. It will be covered if it fits the story and if the experience is top notch. Ease up on the dining, unless your media rep is specifically in the food industry or is looking for an entire story on one particular dining establishment. Don’t spend hours and hours eating. Some of the best meals are gourmet picnics that you quickly enjoy at really picturesque locations. Stops at famous french fry stands, bake shops, specialty cheese shops etc. are often quick wins and keep you out shooting footage and gathering experiences. Food is an important element to tourism, but you must remember these people travel for a living and have likely eaten at some of the world’s finest restaurants. Thank you for smart phones! Have the itinerary, plus everyone’s contact information for the tour on your phone. Make sure you have partners’ cell phone numbers. Office numbers don’t cut it at 11 pm. Be sure to send the itinerary to all those who are participating so they know where you will be visiting when. Have a ‘special place’ on you for room keys, rental car keys, vouchers, etc. Nothing makes you look more foolish than when you can’t find the car keys. Always fill the car with water, snacks, and adapters for charging. Show your writer/photographer that you understand the value of the signature photo or video clip. Getting up at 4:30 am to catch that perfect sunrise is what will set the story apart. Engage a local professional photographer that can help with locations and guidance if needed. Travel media want your real personality. They want to understand your own attachment to the area and not just be given the company line. These are savvy media tourists who have participated in hundreds of Fams. Scripting just doesn’t cut it anymore. Media Fams require 24/7 attentiveness. Staying up late to catch the local act on a patio, getting up at sunrise to capture the epic sunset photo, or having to find a camera store at the end of the day to buy more memory cards is all part of the job. 12. Make it Fun for Both of You. If you are having fun your guest is having fun and that usually results in good content. Some of the most memorable moments of my career have been with travel media. I have created lifelong friends and industry associates from around the world as a result of good media tours. If you follow these simple rules you will produce incredible results for your efforts. Most media are very influential and have a loyal following that hinge off every word they say. If you can create a memorable and personal experience for them it will pay dividends in new potential visitors who want to experience the same thing the writer did. Plus, you gain some new lifelong friendships along the way. Right on Chris! Liked the comments about quality over quantity. Flexibility and free time are also very imporant. You often come across great stories near the end of your trip and can’t pursue them because the itinerary is too rigid. I also find long lunches can be very frustrating if they take away time that you could be experiencing things, especially when time is usually so tight. Wine and dine us all you like at dinner, but during the day I’m often happier to have a quick sandwich or a picnic if it’s feasible. I’d also recommend asking journos what they want before the trip and designing the itinerary around that if possible, or tweaking it for each one. On one famil I went on there was a girl from a bridal magazine who just wanted to do spa treatments for honeymooners, but our itinerary was all soft adventure (which was great for me!). There’s no reason why she couldn’t have stayed behind at the resort for the day. On the same trip we got to see people walking on the rim of a volcano… but didn’t have time to do it ourselves because we had to go to a pre-booked three-course lunch and then catch a plane. I still made it my intro but it would have been better if it had been about my experience walking the rim. Hotel inspections – often at the end of the day when you’ve just arrived and are tired – can also be a waste of time (especially when conference rooms are involved!) With more people blogging and having to do work on the road these days it’s probably more important to allow time in itineraries for people to do this at the end of the day, otherwise journos might end up skipping activities to do it. I also like your approach with paying for hotels etc You often stay at several different hotels in one trip and it’s impossible to write about all of them. I can never “guarantee” I’ll write about anything in particular in the body of the story – it all depends on the experience I have once I’m there. I once went to a tourism conference at Alice Springs (in the Australian Outback) and hadn’t planned to write a travel feature on the destination. But we went to a pub for dinner and a guy at the bar in a singlet with few teeth asked me if i wanted to feel his snake (he had a python wrapped around his neck). How could I not write about that? Making famils enjoyable is also great – the more fun the journo has the better their story is going to be!